Britain’s gardens occupy more space than all our nature reserves put together. 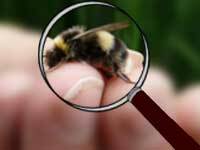 Imagine the difference we could make to our wildlife it we all learned how to share our gardens with nature. The Knoll Gardens Foundation is working to make that happen. 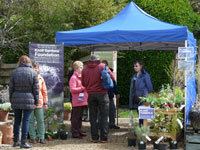 Anyone interested in finding out more about the opportunities available can meet up with other volunteers and trustees at one of our Volunteer Recruitment Open Mornings on 3 May and 23 August between 10.30 and 1pm. 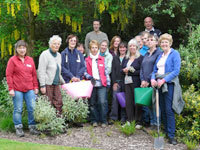 And as an added bonus, potential volunteers are welcome to stay on and spend time in the garden in the afternoon. "Imagine the difference we could make to our wildlife it we all learned how to share our gardens with nature. 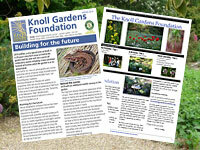 The Knoll Gardens Foundation is working to make that happen."